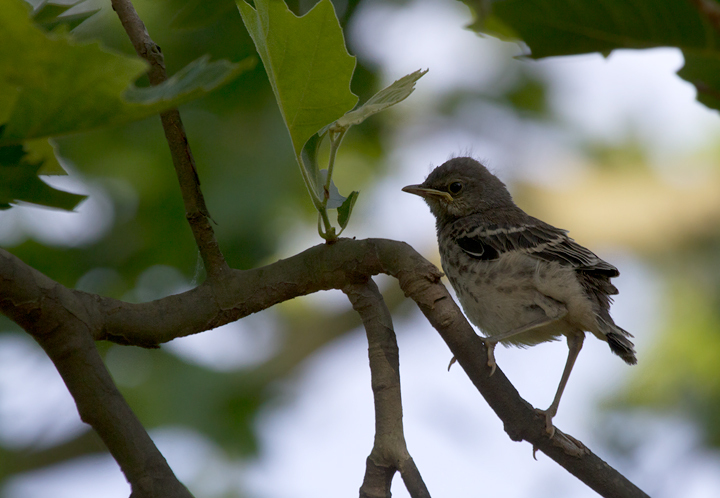 Mid-May close to home in Maryland. 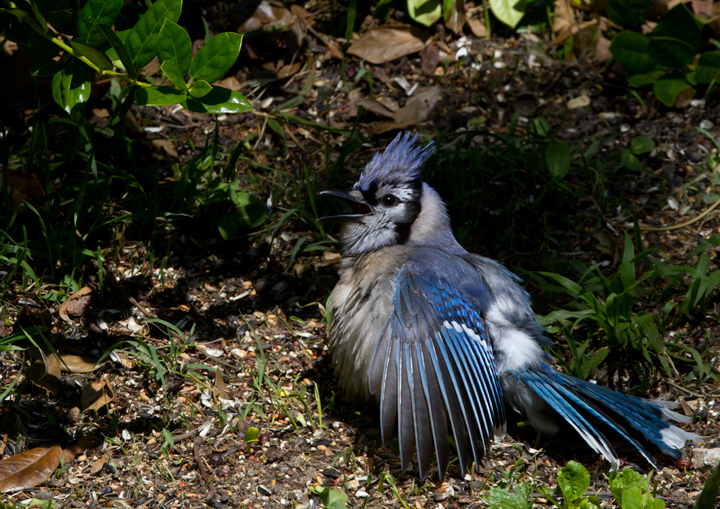 Last updated: 5/21/2012. 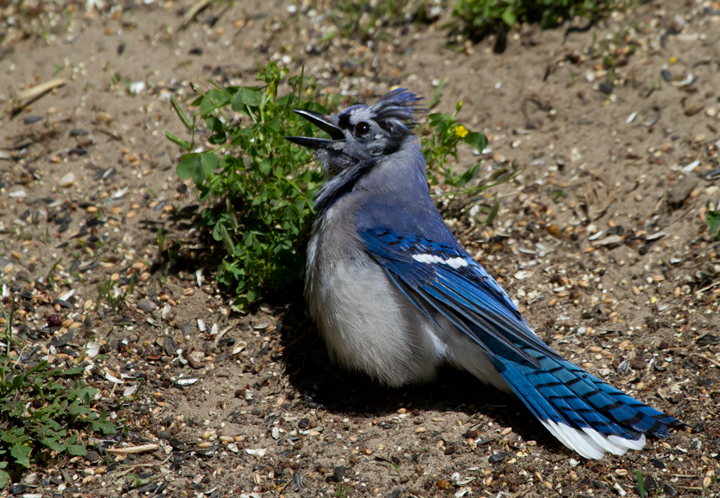 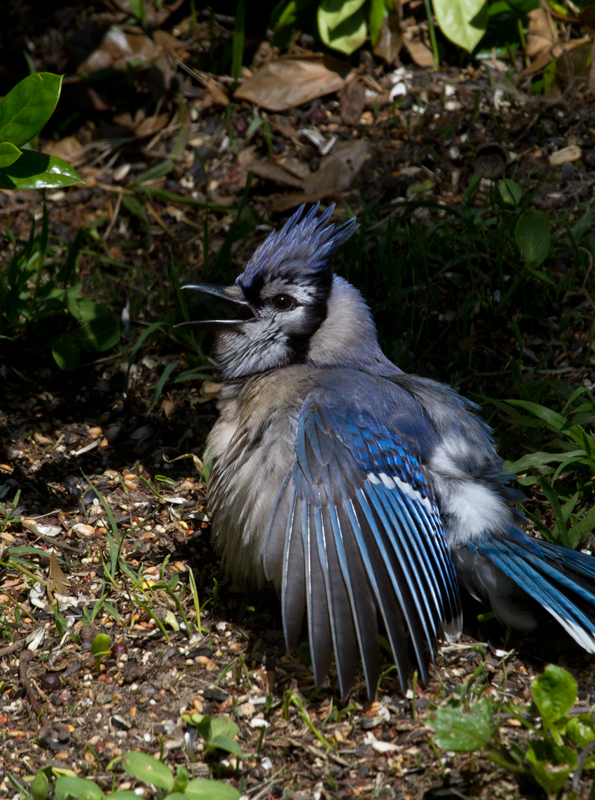 Above and below: Blue Jays sunning in a favorite patch of our yard (Pasadena, Maryland, 5/19/2012). 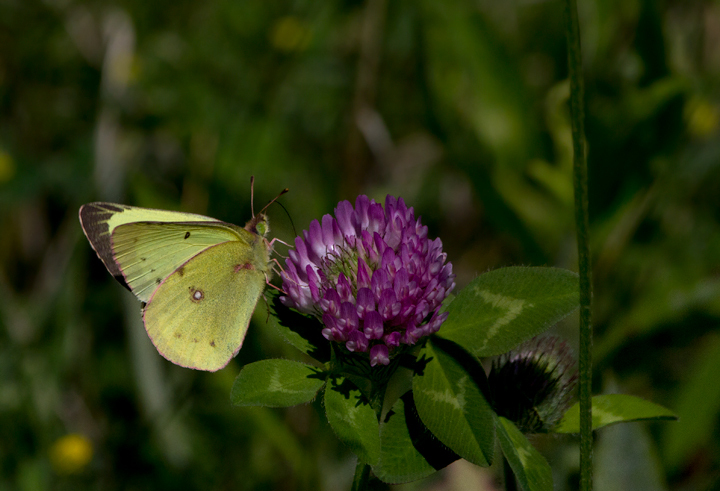 Below: A Clouded Sulfur at Fort Smallwood Park, Maryland (5/19/2012). 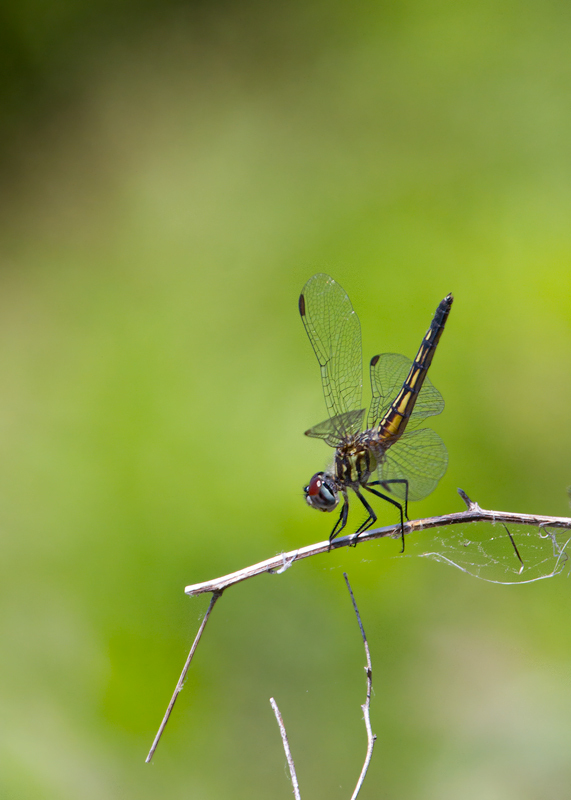 Below: First Blue Dasher of the year at Fort Smallwood (5/19/2012). 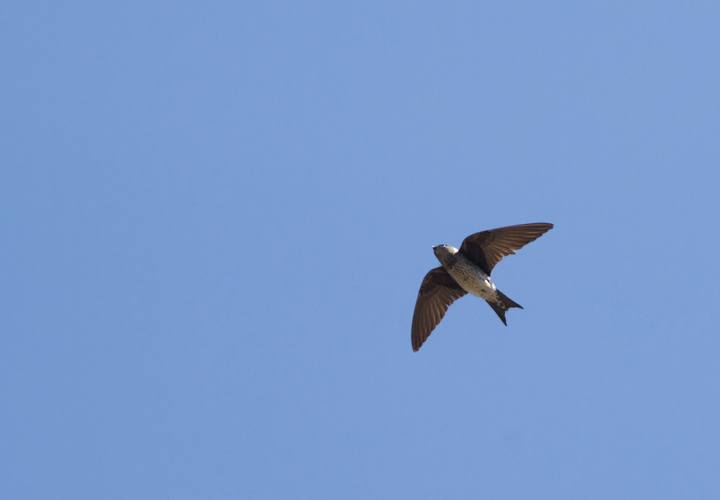 This female is in the "obelisk" position, which reduces surface area exposed to the sun and therefore helps regulate body temperature on hot, sunny days. 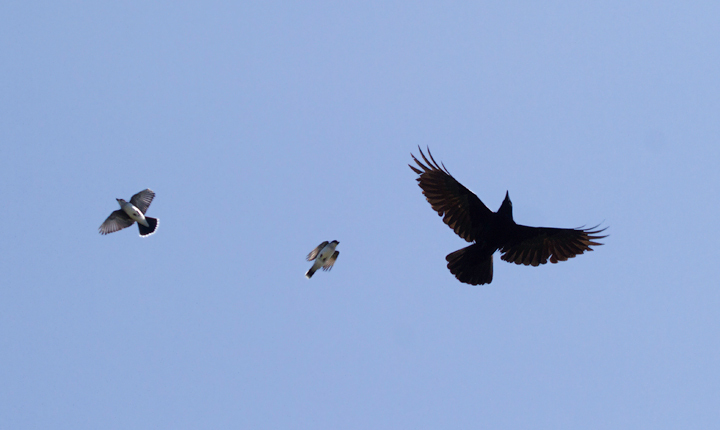 Below: Eastern Kingbirds mobbing a Fish Crow at Fort Smallwood, Maryland (5/18/2012). 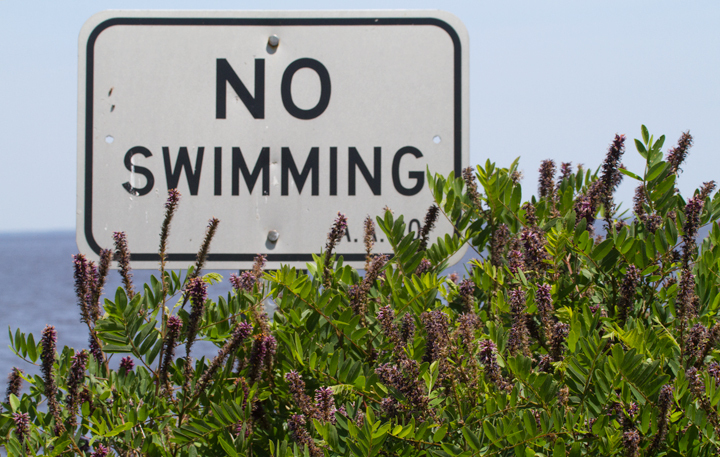 Below: False Indigo Bush, or Lead Plant, at Fort Smallwood, Maryland (5/19/2012). 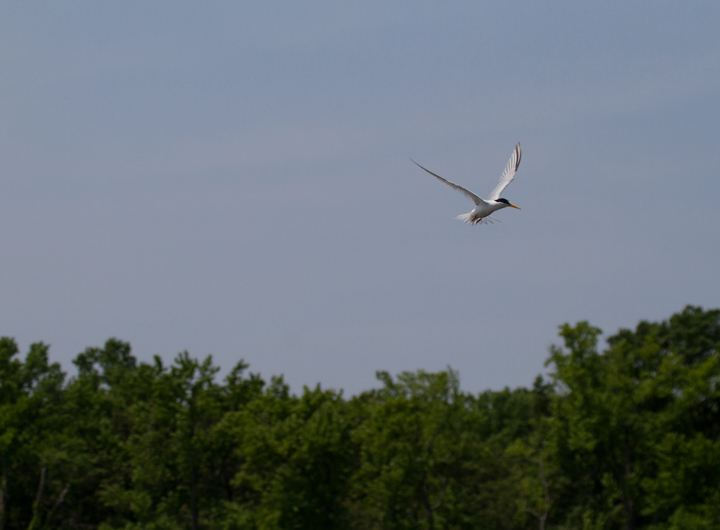 Below: A Least Tern at Fort Smallwood, Maryland (5/16/2012). 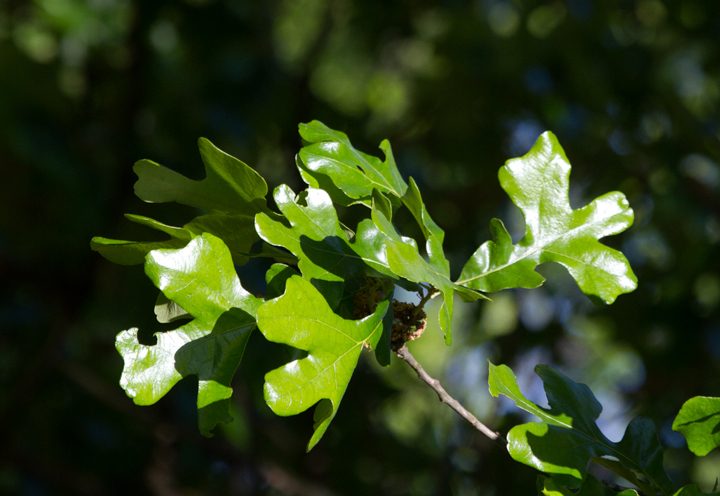 Below: Common Post Oak at Fort Smallwood, Maryland (5/10/2012). 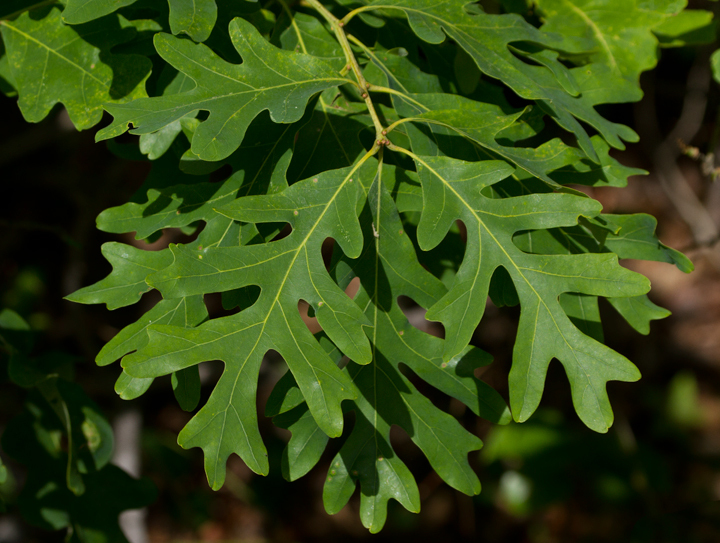 Below: Eastern White Oak in Anne Arundel Co., Maryland (5/18/2012). 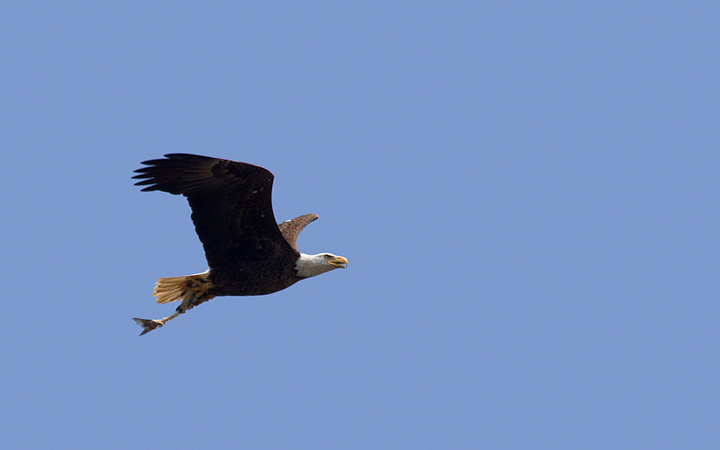 Below: A Bald Eagle with very incomplete fish at Fort Smallwood, Maryland (5/14/2012). 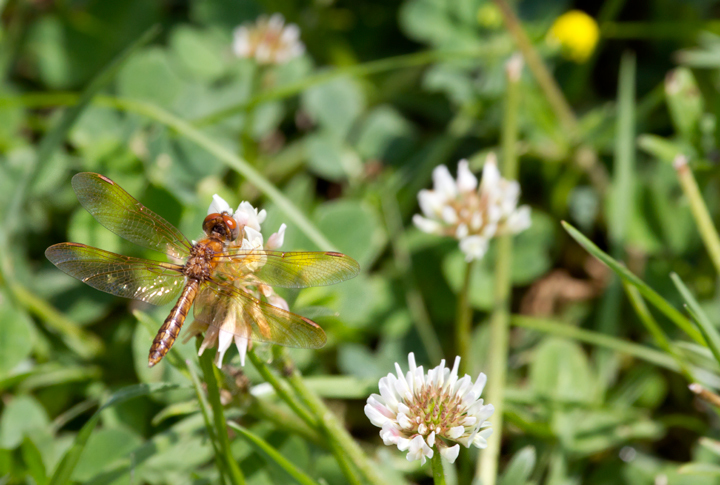 Below: The first Eastern Amberwing of the year at Fort Smallwood (5/16/2012) - on White Clover. 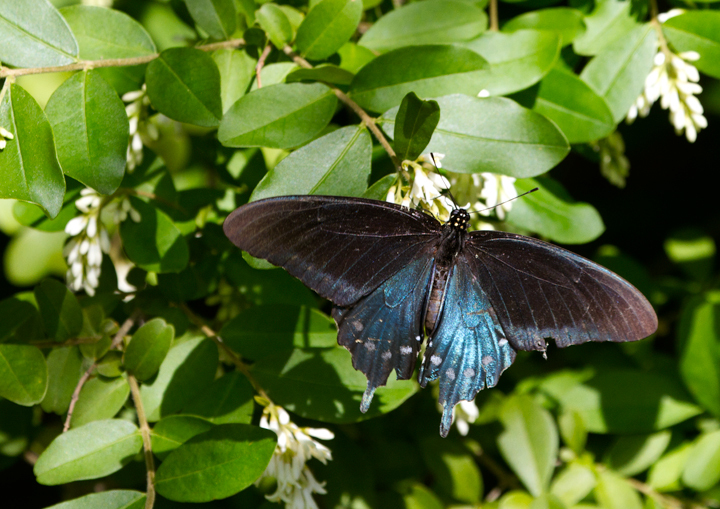 Below: A male Pipevine Swallowtail - uncommon locally - at Downs Park, Maryland (5/18/2012). 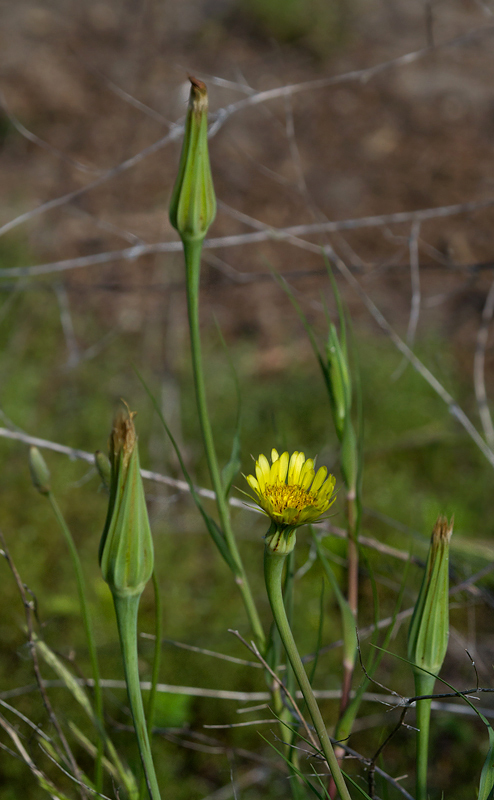 Below: Yellow Goat's-Beard at Fort Smallwood, Maryland (5/2012). 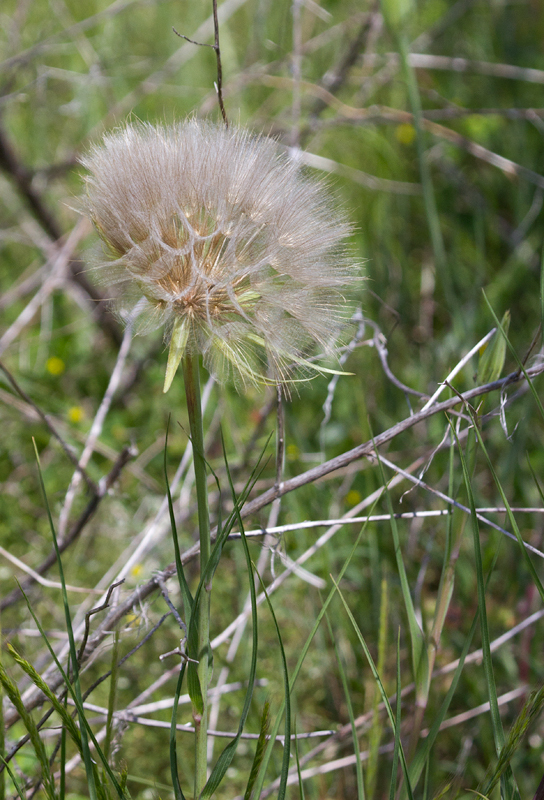 An introduced species from Eurasia, it is also known as Meadow Salsify. 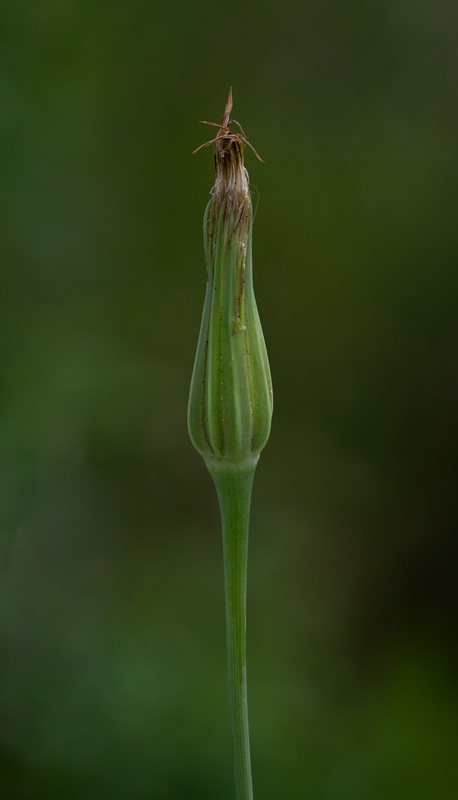 Its flowers close at midday. 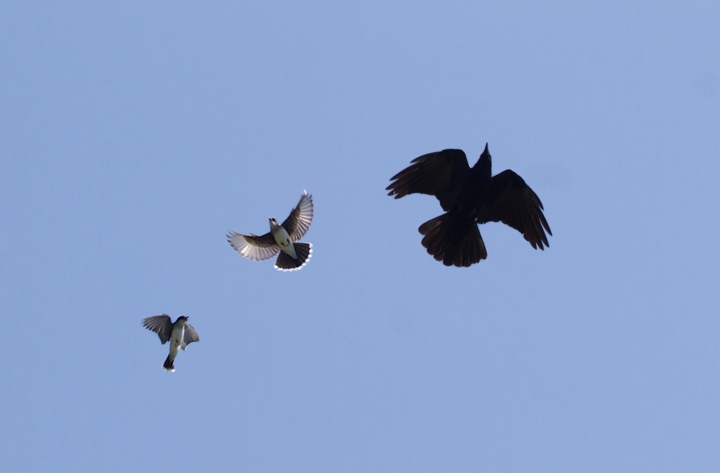 Below: A female Purple Martin in flight over Fort Smallwood, Maryland (5/19/2012). 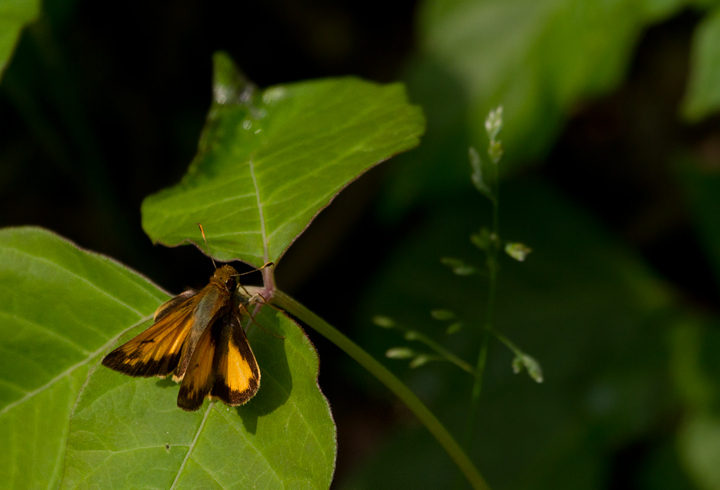 Below: Zabulon Skippers seem especially common in northern Anne Arundel Co. this season (5/16/2012). 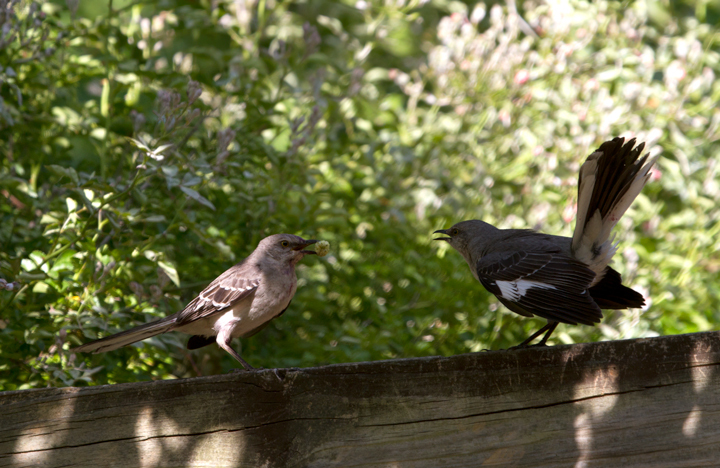 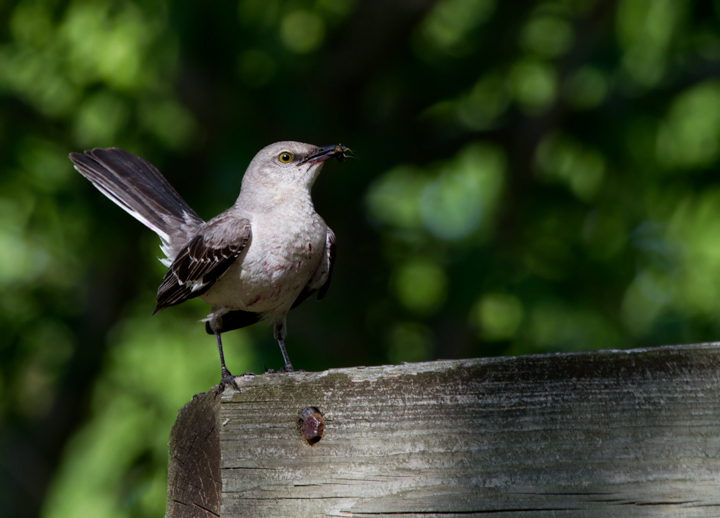 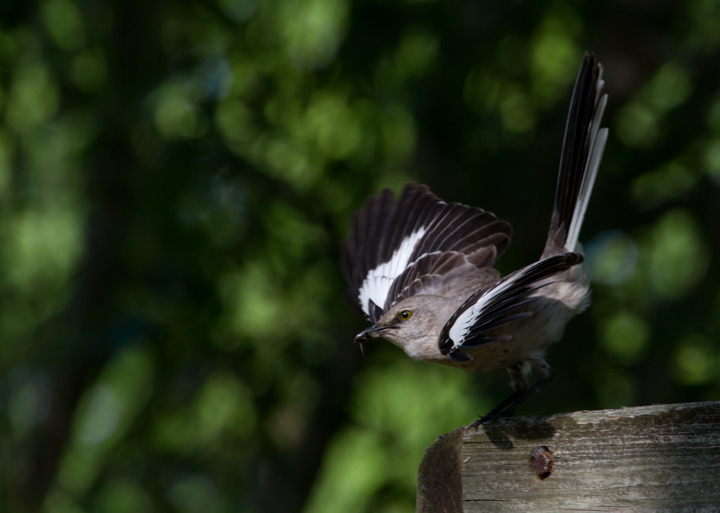 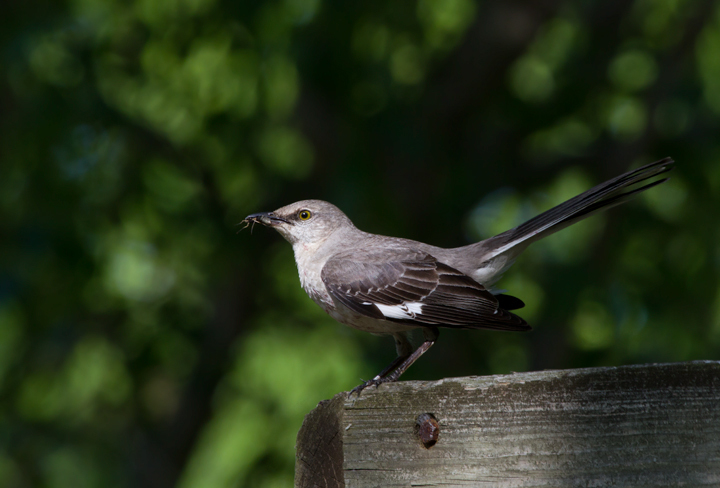 Below: Northern Mockingbirds with fledged young in Anne Arundel Co., Maryland (5/18/2012). 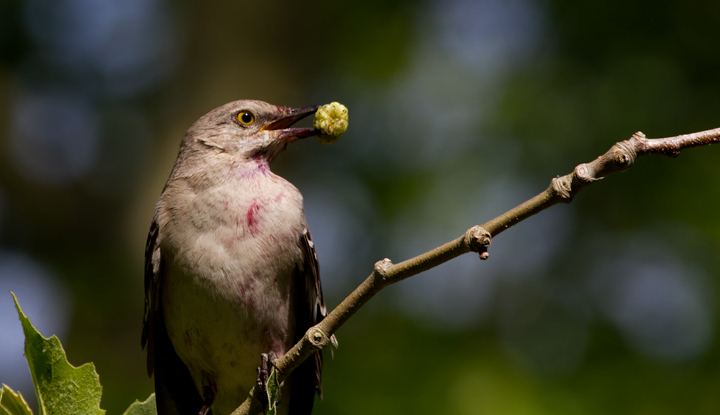 Note the staining from a balanced diet including ripe berries. 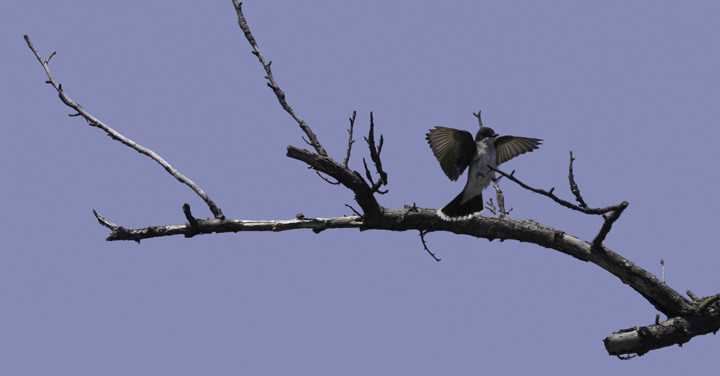 Below: An Eastern Kingbird comes in for a landing at Fort Smallwood, Maryland (5/20/2012).